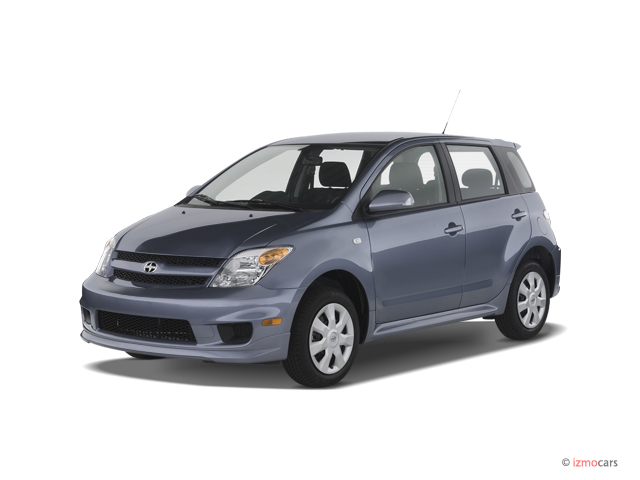 The Scion xA was a subcompact five-door hatchback sold in the U.S. from 2004 to 2006 only. The xA was one of the original pair of Scion models launched nationally after a limited California rollout, but it never attracted the attention of its square-cut, boxy sibling the xB.The Scion xA was replaced for the 2008 model year by the Scion xD, a compact five-door hatchback that was larger than the xA. There was no 2007 model year, although 2006 xA models were sold during the first half of that year before the xD arrived in August. The not-so-boxy Scion was adapted from a Japanese-market Toyota model called the "ist" and based on the Toyota Yaris of the time--which sold in the U.S. as the Toyota Echo from 2000 to 2005. It came with a 108-horsepower 1.5-liter four-cylinder engine, and buyers could choose between a five-speed manual gearbox and a four-speed automatic. One unusual fact for the xA is that its engine's power output was downrated from 108 to 103 hp for 2006, after an investigation found that some Japanese makers had overstated the power output of their engines. The engine itself didn't change. The EPA ratings for gas mileage were 30 mpg combined for any Scion xA model, though the highway number varied slightly depending on model year and transmission option. Performance was adequate if not remarkable, with 0-to-60-mph acceleration time quoted at 8.8 seconds. Inside, Scions were known for a high level of standard equipment, including an AM/FM/CD stereo with multiple speakers. The only factory option was the installation of side-impact airbags, but dealers offered as many as 40 different accessories--from alloy wheels to decorative trim items--that let Scion owners personalize their cars to suit their own tastes. The xB had a series of minor updates for its last model year, in 2006. They included revised bumpers and side skirts, audio controls on the steering wheel, turn-signal indicators built into the door mirrors, and new paint colors. It also received the ability to accept iPod audio input and display it on the head unit as an option. Scion also offered special limited-edition "Release Series" models of the xA, one each in 2004 (1,550 units), 2005 (1,700 units), and 2006 (2,100 units). They were dubbed RS 1.0, 2.0, and 3.0 respectively, and helped build attention for the brand, with an image of scarcity since each Scion dealer received only two or three of each one. The changes were largely cosmetic--a "sports grille" and a color-coordinated roof spoiler were added, along with a power moonroof--but vehicle stability control was also added as standard on the RS models. Each year's RS came in a different color: Absolutely Red for 2004, Spectra Blue Mica for 2005, and Stingray Metallic (a light blue) for the final year. I have been very happy with this vehicle. Very reliable but not the car for performance. Good gas mileage and low maintenance are the big pluses. Now with 75,000 miles it runs like new. Good in town and on the highway. Easy to park, short turning radius. A recent 2500 mile vacation drive brought 30-35 mpg while keeping up with others on the freeway... Now with 75,000 miles it runs like new. Good in town and on the highway. Easy to park, short turning radius. A recent 2500 mile vacation drive brought 30-35 mpg while keeping up with others on the freeway. Interior comfort and support for a small car is great. You sit rather high and have good visibility. Acceleration is adequate. I keep looking to replace it with Honda Fits, Versa Notes, Ford Fiestas, Chevy Sonics and other small 4-door hatchbacks and while they have added some good features they don't seem to have improved in design. I'll keep it for a long time.